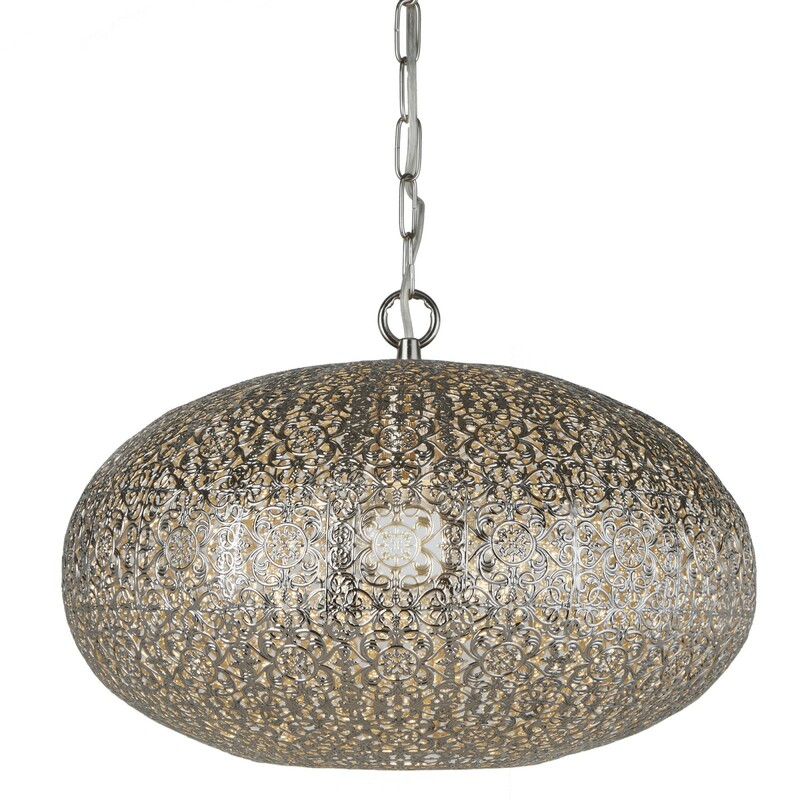 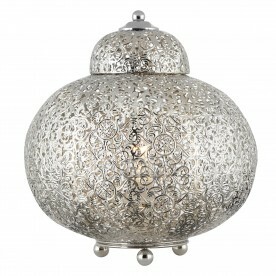 Turn heads with this striking Moroccan pendant, ideal for any fashionable and contemporary home. 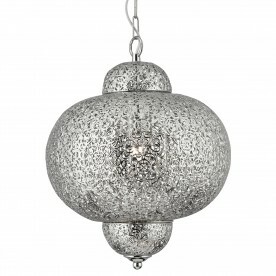 The stylish shiny nickel body is rounded and features a stunning detailed design on the body. The fitting suspends from a solid chrome chain, adding an edge to the aesthetic.